Our collection of miscellaneous dining & kitchen furniture represents practical, helpful solutions for your pantry or kitchen. Can pass up an intriguing folding step stool or a cool veggie bin? So check out the Amish-built, solid hardwood collection. And see which ones you can’t do without! 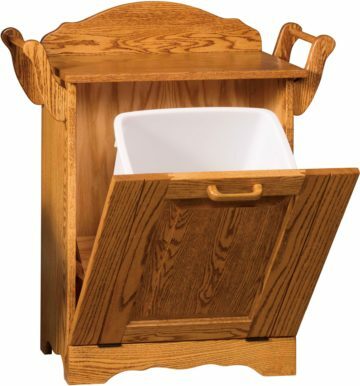 Expert Amish artisans painstakingly handcraft each piece of furniture in our Miscellaneous Dining & Kitchen Furniture collection. And they use time-honored skills and the finest regional hardwoods. So you can order your favorite pieces as shown. Or you can customize them to fit your needs and desires. For example, you can choose the wood species and hardware. Plus the stain, paint or dye finish. Also, visit our brick and mortar store in Shipshewana, Indiana. And be inspired by our beautiful designs.